Even gods can be slain. The Hokkaran Empire has conquered every land within their bold reach - but failed to notice a lurking darkness festering within the people. Now their border walls begin to crumble, and villages fall to demons swarming out of the forests. This is the story of an infamous Qorin warrior, Barsalayaa Shefali, a spoiled divine warrior empress, O Shizuka, and a power that can reach through time and space to save a land from a truly insidious evil. 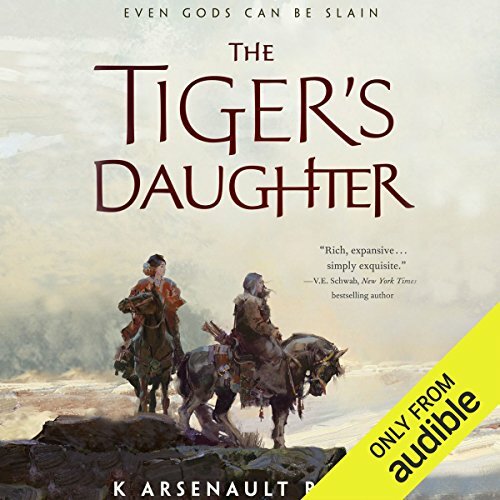 K Arsenault Rivera's The Tiger's Daughter is an adventure for the ages. 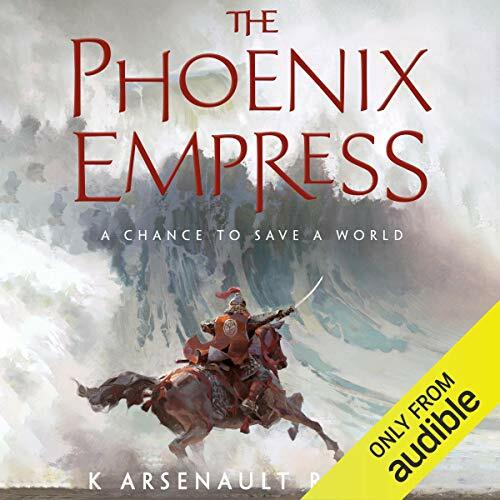 ©2017 K Arsenault Rivera (P)2017 Audible, Inc. Since she was a child, the divine Empress O Shizuka has believed she was an untouchable god. When her uncle, ruler of the Hokkaran Empire, sends her on a suicide mission as a leader of the Imperial Army, the horrors of war cause her to question everything she knows. Thousands of miles away, the exiled and cursed warrior Barsalyya Shefali undergoes trials the most superstitious would not believe in order to return to Hokkaran court and claim her rightful place next to O Shizuka.